These silver plated Ama hoops really bring the beautiful, voluminous freshwater pearl into focus. 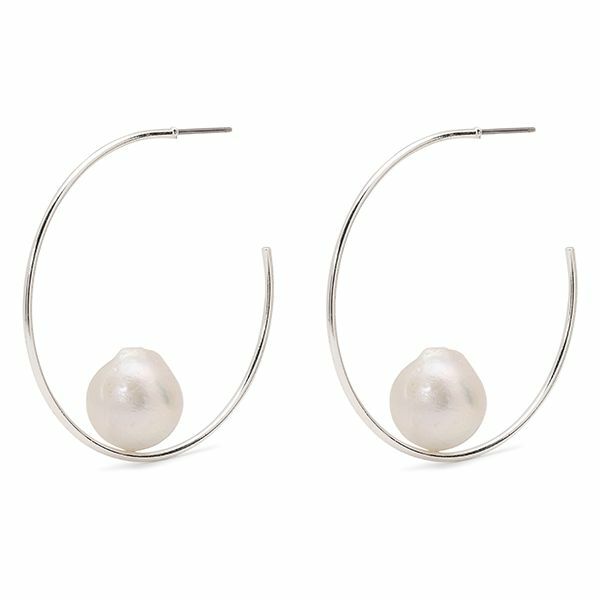 The earrings consist of a feminine component in the form of the classic round hoop, combined with a unique, eye-catching pearl placed at the center of the fine semi-circle. Note: This jewellery features genuine freshwater pearls. Each pearl is unique and may vary in colour and shape.